Here is below one of the original photographs reference taken on the spot. As usual, I decided to keep it loose and not get lost into details. 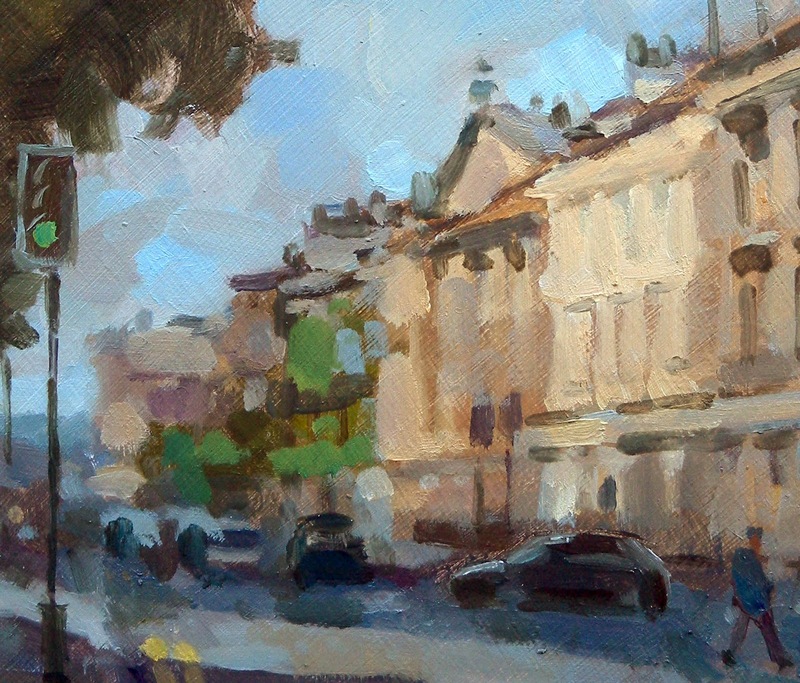 I've been focusing lately on paintings of Bath as I'm preparing to enter this year's Bath Prize. (click here for more info). The show will run in September and I will give more details closer to the date. Meanwhile, there is a "Pre-Bath Prize" show running now with a selection of work from the previous winners and highly commended artists and I'm delighted to announce I have several paintings on display. 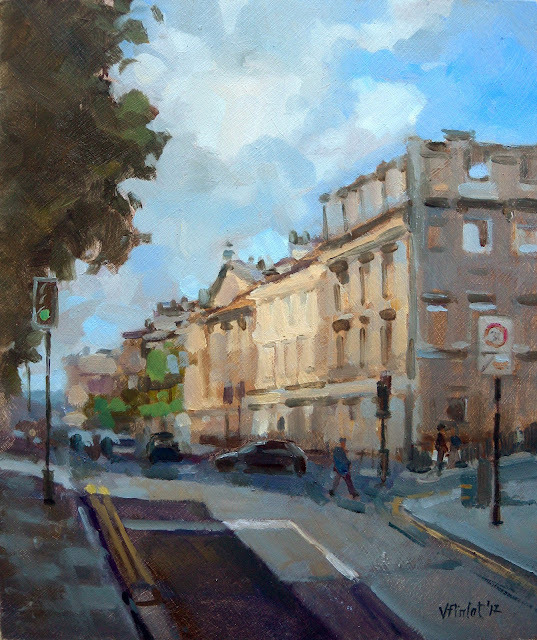 There are also some lovely paintings from fellow talented painters Tim King and David Pilgrim. 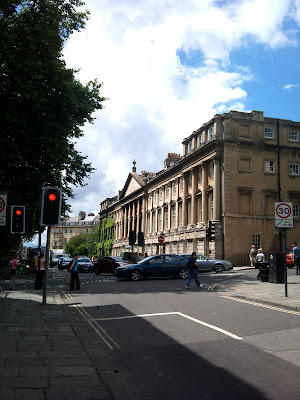 The venue is situated in the Centre of Bath (34 Stall Street, BA1 1QG - click here for the map) and the show will run for a couple of weeks so feel free to have a look if you are in Bath. Great little painting Valerie, with your own loose, painterly stamp on it. I'm working on one of Burford High Street, but I wish I had your loose approach! Not quite years! I'm pretty quick, but would love to paint more loosely, but thanks for your praise! 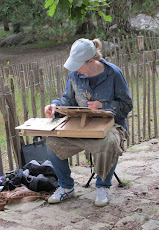 Hope to paint with you sometime - I'm going to paint en plein air with David Pilgrim later in the year. Lovely brush strokes make an arresting image. One small thing though, the perspective lines of the kerb edges give the impression of a road that is steeper than the photograph shows. Was that intentional? Thanks Mick. When I work from photograph, I only use it as a vague reference and I quickly stop looking at it to work from memory. So you'll certainly find plenty of things that don't match. Usually not on purpose but just happen to be. So don't worry about checking things like the number of windows as they won't add up :-) But thanks for the interest. Brilliant painting here valerie. I love it. your style is second to none. well done again valerie. all the best. Thanks Vic for your lovely comment as always. Hope all is well for you. 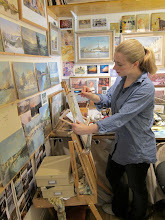 Valerie, your paintings are so beautiful and this one is no exception. I sure wish I could do what you do! Thanks Doug!!! Hope you're well.